“Walking through the doors of Mary’s Place by the Sea instantly instills a sense of calm and puts my life into perspective, making me want to contribute even more of my energy and time to its mission." 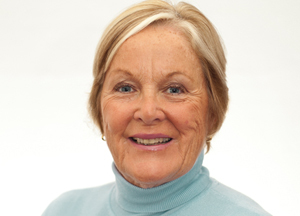 A resident of Interlaken, Virginia Whipple Berkner joined the Mary's Place board in October 2014. She is the executive director of three statewide professional organizations for lawyers and judges: the Association of Criminal Defense Lawyers of New Jersey, the Association of the Federal Bar of New Jersey and the Trial Attorneys of NA resident of Interlaken, Virginia Whipple Berkner joined the Mary's Place by the Sea board in October 2014. She is the executive director of three statewide professional organizations for lawyers and judges: the Association of Criminal Defense Lawyers of New Jersey, the Association of the Federal Bar of New Jersey and the Trial Attorneys of New Jersey. For many years, she worked for the New Jersey Sports and Exposition Authority, as well as in the Office of Alumni Relations and Career Development at Seton Hall University School of Law School, and also served as the administrator for a mid-sized law firm. Ginny brings extensive fundraising and event planning experience to the board, as well as a passionate commitment to the mission of Mary’s Place by the Sea New Jersey. For many years, she worked for the New Jersey Sports and Exposition Authority, as well as in the Office of Alumni Relations and Career Development at Seton Hall University School of Law School, and also served as the administrator for a mid-sized law firm. With an AAS degree from Marymount College of Virginia, she graduated from Seton Hall University in 1974 with a Bachelor of Science in English. Ginny brings extensive fundraising and event planning experience to the board, as well as a passionate commitment to the mission of Mary’s Place by the Sea.